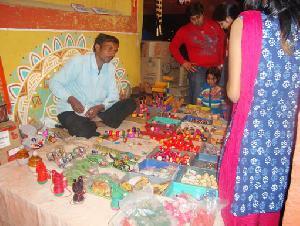 Johari Bazaar in Jaipur – Ideal for Ornament Lovers! 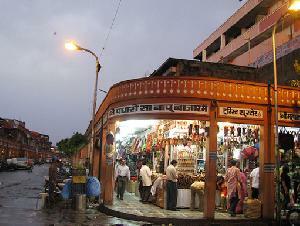 If you are in Jaipur, you can never return home without shopping some traditional Rajasthani items. As the pink city, Jaipur is reputed for its unique jewellery manufacturing, Johari Bazaar should be the ideal destination for every ornament lover. Located in the prime area of Jaipur, the Johari Bazaar is famous for its precious and semi precious stones, particularly diamonds, topaz and emeralds. It is the large scale exhibition of the alluring stones, which makes the Bazaar one of the most popular attractions in Jaipur. While strolling in the renowned jewellery market, one would surely get overwhelmed by seeing a mammoth collection of certified emeralds and gems. However, one should keep his eye open for trustworthy vendors selling genuine jewellery. As Rajasthani ornaments can accentuate any dress, the market is a huge hit among the ladies. Besides shopping, the forever open Johari Bazaar is a great way to feel the multi-colored existence of the city of Jaipur.